1. Hayden Panettiere and Wladimir Kitschko: There is a major height difference between these two. Panettiere is 5’0″ while her husband is 6’6″. They are also 14 years apart. But the two still share a sweet relationship. 2. 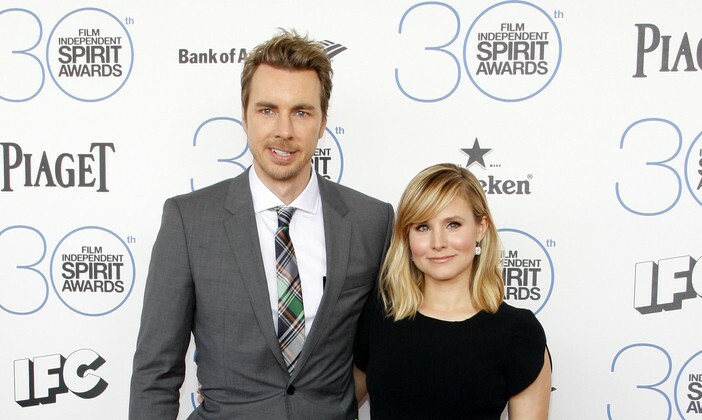 Kristen Bell and Dax Shepard: Kristen Bell and Dax Shepard are a Hollywood power couple. The height difference between the two is quite big. The Frozen star coming in at 5’1″ and Shepard coming in at 6’2″. 3. Nicole Kidman and Keith Urban: This celebrity relationship can be seen by others as a little odd due to height difference, but they don’t let that bother them. Kidman may have some height on Urban, but the two are still super cute and in love. 4. Portia De Rossi and Ellen DeGeneres: One of Hollywood’s favorite power couple, Portia De Rossi and Ellen DeGeneres have a height difference. Ellen definitely looks up to Portia in this relationship! 5. Will and Jada Pinkett-Smith: This long-time celebrity couple has a height difference of 14″. Will Smith is 6’2″, while Jada-Pinkett Smith is 5′. They have not let this difference bother them. The two have been together for quite some time now. Do you know of other celebrity couples who have huge height differences? Comment below!